Solanki is resigning from the post of state president being aggrieved by certain decisions taken by the party, including distribution of tickets, the letter says. 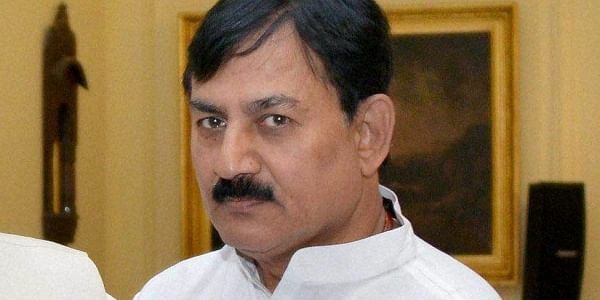 AHMEDABAD/VADODARA: The Congress today blamed the BJP for "spreading lies on social media" out of nervousness, after a fake resignation letter of the Gujarat Congress chief Bharatsinh Solanki went viral. The opposition party said it will file a complaint with the Election Commission on this issue. The letter, which purportedly bore Solanki's signature, is addressed to Congress president Sonia Gandhi. He is aggrieved because tickets were sold to undeserving candidates, the letter has Solanki saying. "The letter is fake and is a mischief played on the Congress party. We will register a complaint before the Election Commission against this," Congress spokesperson Manish Doshi said. Solanki told PTI that his family is wedded to the Congress ideology for four generations, so the question of resigning does not arise. "I am loyal to Sonia Gandhi and Rahul Gandhi and the question of my resignation does not arise," he said. He came down heavily on the BJP for spreading lies and said it was a conspiracy as the ruling party has realised that the Congress is coming to power in the next month's Assembly elections. "The writing on the wall is very clear as 22 years of BJP's misrule has disappointed all sections of the society as wrong claims of development have failed to convince the people of Gujarat," he said. Solanki also took to Twitter to clarify that the letter was fake, and blamed the ruling BJP for "spreading lies on social media". "BJP is nervous and rattled by the surging popularity of Congress and as people of all sections are coming together to root out anti-people govt, out of sheer desperation they are spreading such lies on social media to deflect from the real issues," he tweeted.